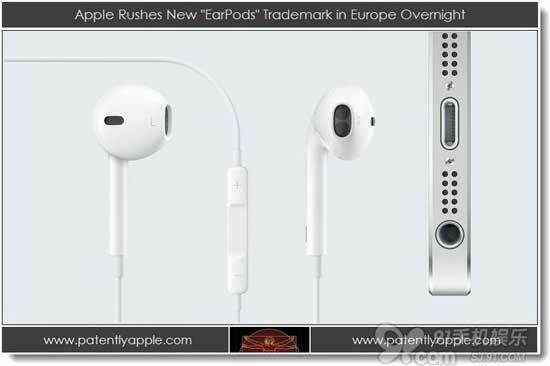 Apple harvest again by a patent, the patent involving the apple the new headset EarPods. This headset is the more accord with "alien eyeball" design of the structure of the human ear with the iPhone 5 in September 2012. In the patent document EarPods, apple described it as "creating a block type headset solutions". In a word, compared with before the headset, EarPods besides can let users more comfortable to use, also can provide better quality of music. It is understood that the patent application as early as the third quarter of 2011, patented invention for Jonathan Aase, Julian Hoeing, Jeffrey Hayashida (now has set up a file in the Google).